Completely RESTORED. New engine, radiator, etc. . Aircraft polyurethane paint. Many upgrades incl. microwave, grey water tank, dual 20 A battery charger, carpeting & floor tiles. 71,921 miles & < 2,000 on engine. Owned by me for 30+ years. Manuals, schematics & receipts. What is not new has been reconditioned. Sale due to health. 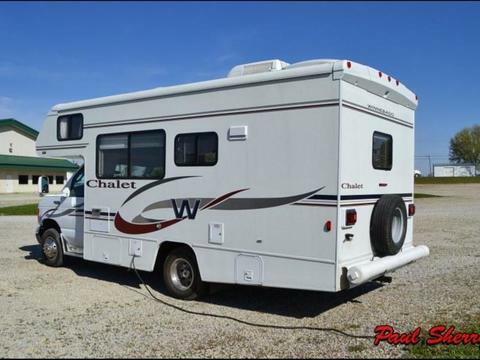 This motor home comes with many standard features like can be seen on the brochure below, just click for full 2011. Specifically this unit is 42’10” long, powered with a 450 HP Cummings with an Allison 6 speed Transmission . It is equipped to tow a gross vehicle weight of 15000 LBS. 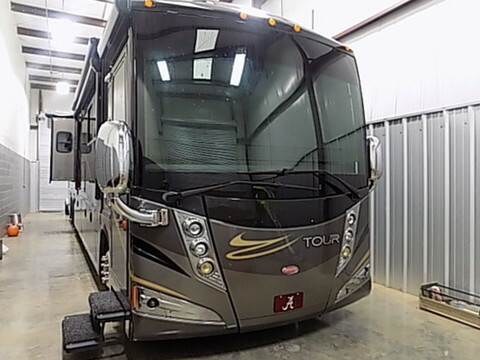 Factory extras added at time of manufacture are the following features: Cumberland/Green/Glazed F CH, Freight-liner 44,320/450 8.9 L 10 EMM, entertainment center/external TV/DVD Power Cord Reel,, Microwave/Speed-cook Oven, , Electric fireplace, GPS Navigation System, Residential refrigerator with/2.8 KW Inverter and 2 batteries, TV ANT with power-digital amplified,stalking washer/Dryer, dishwasher/drawer style, vacuum System-central, compartment tray slide-out, full Body paint, (Carbon Bronze), Valance panel Trim-SST, rest easy sectional-UL LTR Dual, satellite TV system in motion, water supply reel, radio-satellite. 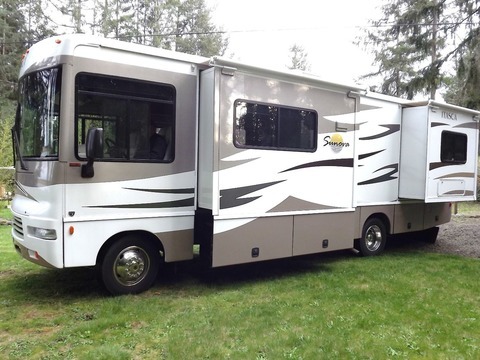 This unit has been used but serviced and maintained as necessary, last year new tires, batteries and roof airs were upgraded to new. 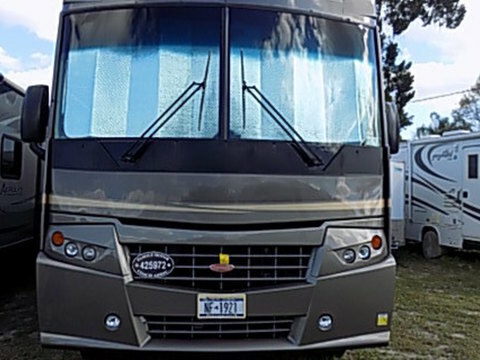 This motor home is in Georgia, waiting for your review. The owners of this unit also has a chain of truck repair shops in southern US, this MH is kept in a secluded bay inside when not in use and is given care by one of their top mechanics. The tow dolly can be had as well as the owner has just purchased a Jeep for flat towing on his next vehicle. 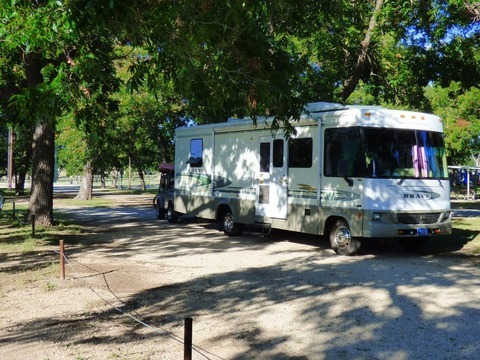 Sleeps 2 Queen aft converts to 4 place Dinette belted, pull out table, overhead A/C, genset powered Seats 7 with belts, surround window views Single barrel chair and fold-away table up front, belted, for breakfast Fwd Main seats reverse 3-way powered refrigerator. AC/DC/ or Propane. 3-burner stove, oven. Like new. Stainless-steel sink Monitor panel for tank levels Microwave Overhead A/C LP Furnace 110V Water Heater Rear coach engine heater 2 12V Auxiliary batteries 2.8kW Onan Generator powers overhead A/C Dual fwd A/C blowers for cab, coach Wet bath includes a sink, shower, and marine toilet Pull out walls for more privacy, shower; 20 Gal. Fresh Water, 13 Gal. Black Water, 9 Gal. Grey water Easy dump. 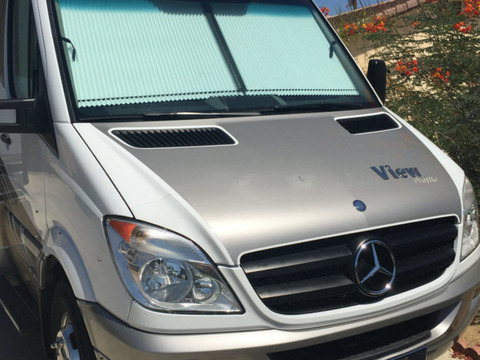 Digital monitor of quantity by sink 2,000 lb towing capacity Rear window heat, wiper Air cushion shocks for Greyhound ride. AAMCO overhauled transmission. No oil burn engine, clean, waved, garaged. Light interior use. Low Mileage! Grey with Beige leather interior. (2) TV's, stereo, carpet floor mats, and much more . 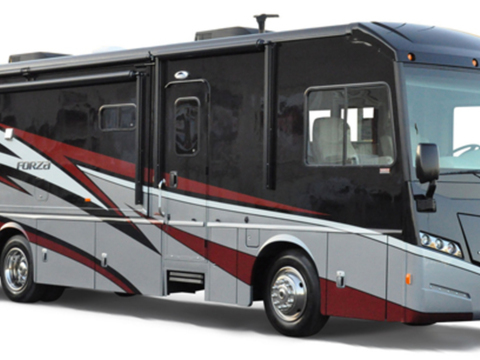 Maintained by Mercedes Benz and RV dealer ship only. Easy access to the drivers and passengers front cab fiberglass running boards. Comfortable leather seats with electric 6 way seat for the pilot. Outside patio lights, rear ladder, side screen door are also just a few of the many features. Great mileage, excellent quality, and a lot of room. The bathroom has a standup shower with a closing shower door.Queen-size bed with an extra memory foam bed topper.32 inch LCD Smart TV, and custom interior LED lighting. 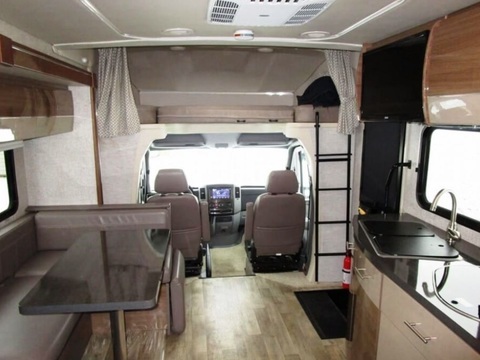 The reader sleeping area has the second TV too.Ultra-leather seating, and the fantastic fans near the skylight.There tires and exterior are in clean.The color combinations and decors with the wood make this coach look beautiful. Excellent Condition. Maintenance current and all recall issues updated. Extremely low mileage. 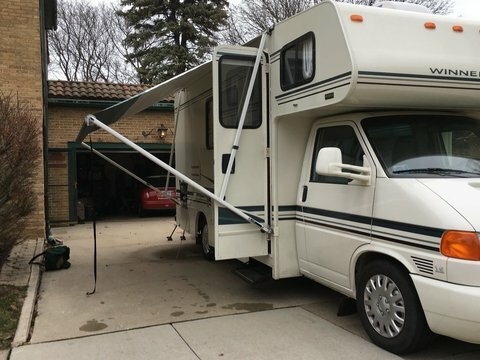 Tons of storage along side of motorhome and also inside. Setup for outside entertainment also. 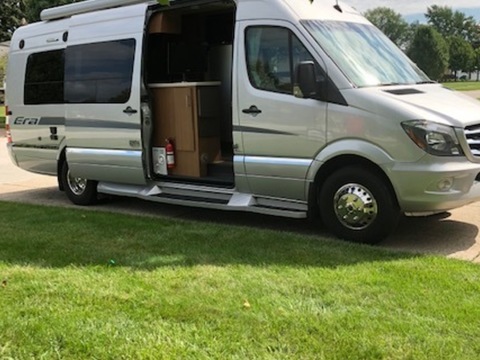 Includes 2 TV's, fireplace and memory queen size bed. This coach is in exceptional condition. 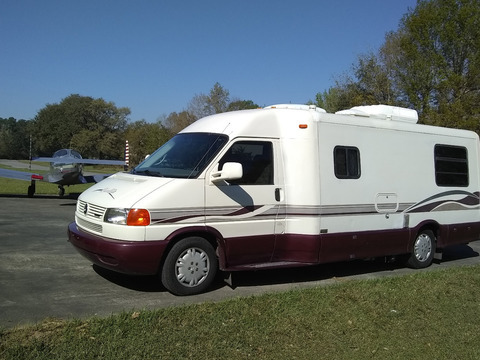 The owner has made some very nice updates including interior woodwork, storage, and brand new tires. Everything except a minor leak in the jacks seals is in working order according to the owner and turn key ready to travel. Some maintenance records are available. Schedule a showing today - you will be impressed! Stock #165489 DON'T MISS THIS UPDATED GEM! ONLY 23,000 ORIGINAL MILES!! ALL NEW TIRES! 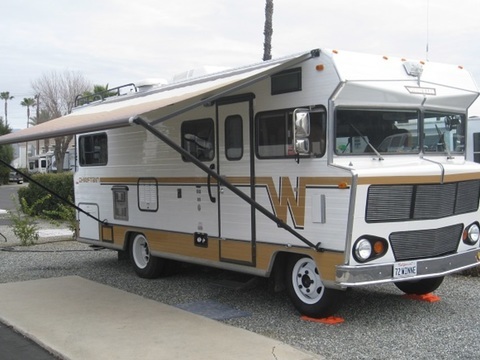 THIS ONE IS IMMACULATE AND READY FOR THE ROAD! 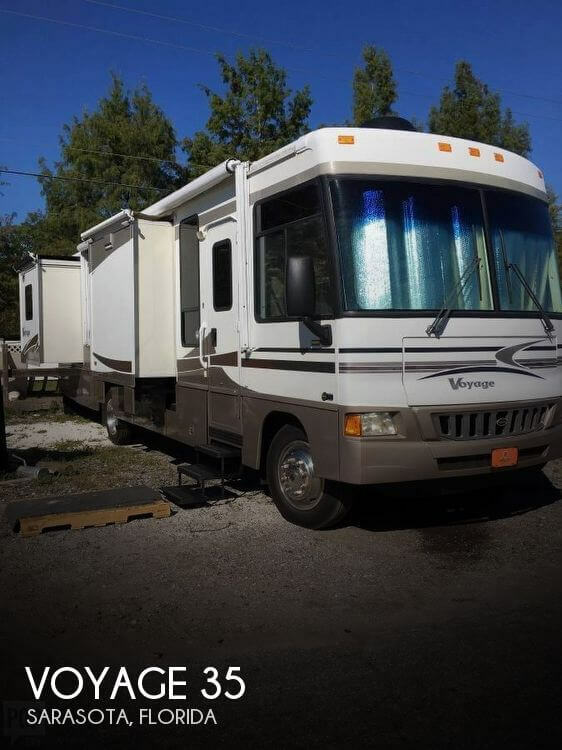 If you are in the market for a class a, look no further than this 2005 Voyage 35A, just reduced to $33,000. 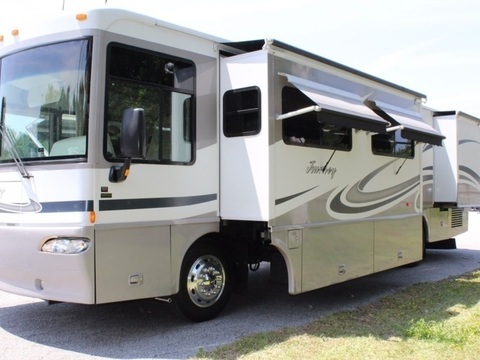 This Class A is located in Sarasota, Florida and is in great condition. 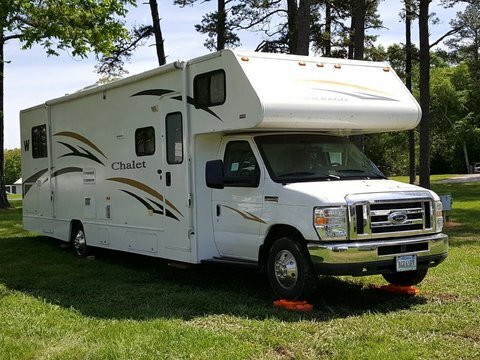 She is also equipped with a Chevrolet engine that has 23,000 miles. Reason for selling is no longer time to enjoy.